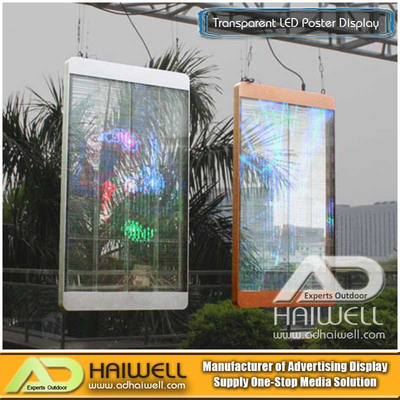 Where Can Be Applicated Transparent LED Display? What is Transparent LED Screen Display? How To Maintain the LED Transparent Screen? 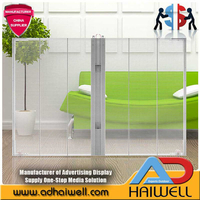 Plug & Play, there is no holding beam except screen outside frame. 5500cd/㎡, watch video clear against sunshine, Contrast ratio: 1500:1 Excellent color reproduction degree. 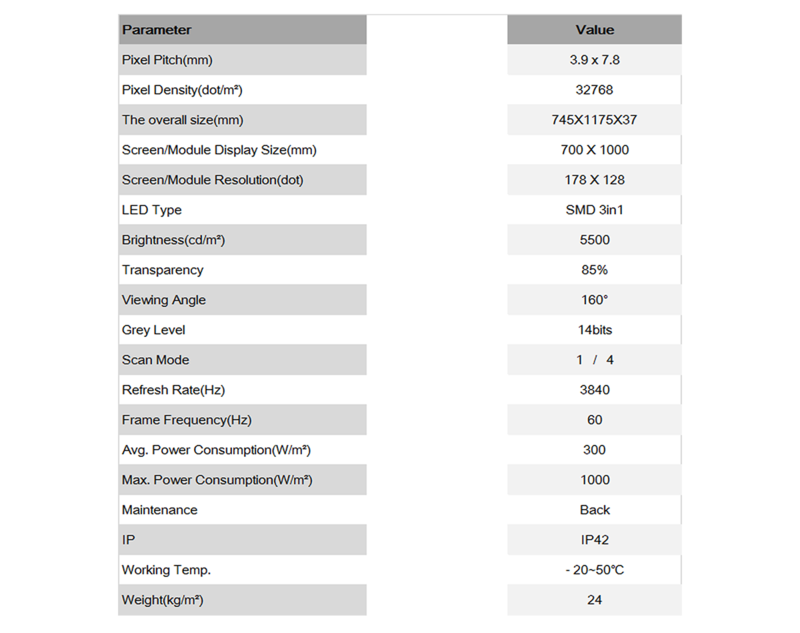 h Refresh RateRefresh rate 3840HZ. 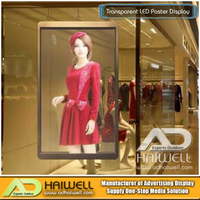 In recent years, with the rapid expansion of the digital signage industry represented by retail, transparent LED displays have also brought revolutionary changes to retailers, their high transparency, will not affect the building lighting, and have lightweight and wind resistance. It is easy to install, easy to install and can achieve various irregular shapes and sizes as needed. 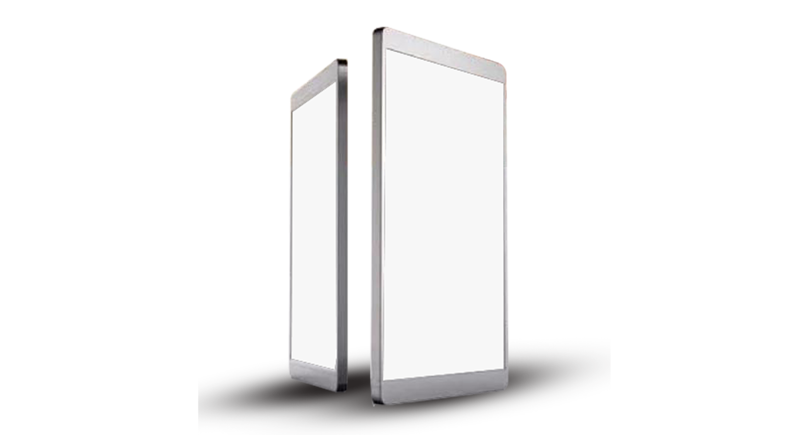 Therefore, LED poster display is increasingly popular in the fields of building facades, glass window decoration, and interior decoration. Adhaiwell Makes Buying Billboard Easy. Copyright © 2018 HAIWELL (GZ) ADVERTISING INDUSTRIAL CO., LTD All Rights Reserved.